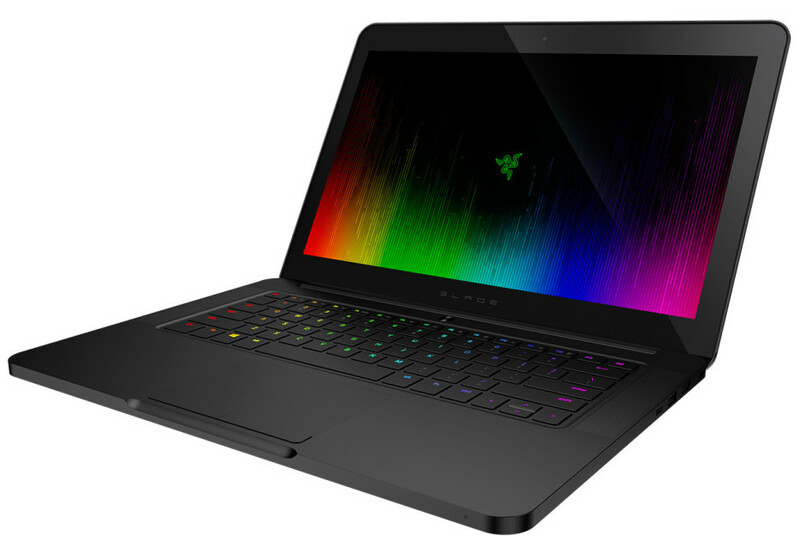 The leading maker of gaming hardware and gaming peripherals Razer has unveiled an updated version of its Blade gaming notebook. The new device is fully equipped to meet the needs of year 2016 and as expected comes with powerful hardware that has tons of features. The new 2016 Blade notebook has been thoroughly improved compared to its predecessor but at the same time has become more affordable. The new gaming notebook comes with the powerful quad-core Intel Core i7-6700QH Skylake processor at 2.6 GHz (3.5 GHz Turbo), a GeForce GTX 970M video card with 6 GB of VRAM, 16 GB of dual-channeled DDR4 memory, 256 GB/512 GB of SSD storage and a 14-inch IGZO sensor display that works at 3200 x 1800 pixels. In addition to this the 2016 Blade has Killer Wireless-AC 1535 networking with 802.11ac Wi-Fi technology inside, Thunderbolt 3, three USB 3.0 ports, 3.5 mm audio jacks, a built-in microphone and speakers, a built-in 2.0 MP web camera, a Kensington security slot, an anti-ghosting keyboard with per-key lighting, a 70 Wh rechargeable lithium-ion polymer battery and more. The new Blade runs Windows 10 64-bit out of the box too. Despite the major hardware improvements, the new Blade remains just 0.70 inches thin. At the same time its weight has been reduced and now the new gaming notebook weighs only 4.25 pounds, which makes it more portable than ever before. The good news continues with the fact that the 2016 Blade is cheaper than its predecessor – the 256 GB version costs USD 1999, while the 512 GB version of the same notebook will be yours for USD 2199. The new Blade will be in stores any time soon.